Red and white, the prominent traditional colors of Japan. “Komachi men” is a kind of noodle made from rice named Akita at Tochigi Prefecture. Komachi dough is kneaded, rolled out and sliced into long strips. ”Komachi men” is recommended to serve in soup flavored with soy sauce and mirin (sweet sake). 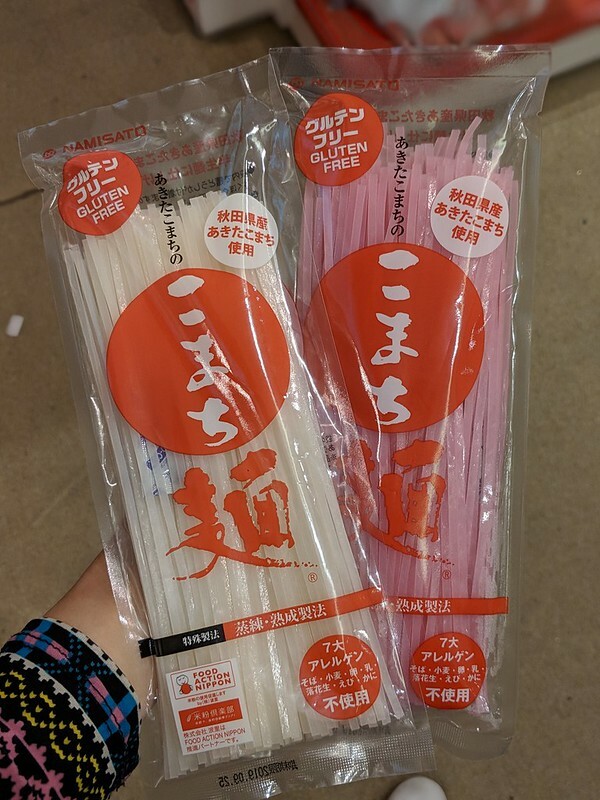 Comes in red and white, this noodles is great for celebration of happiness and joy since the colors mean strength (red) and purity (white) in Japan. This flat noodles is very tasty and has a chewy texture. It can be kept under room temperature for 1 year. 3.Eat it in a hot broth or with a soy based dipping soup. I love to cook this in my laksa broth or use them in my steamboat hotpot. Slurping good! Please take note if you don’t eat this soon within 30min after cooking, it’ll turn soggy. 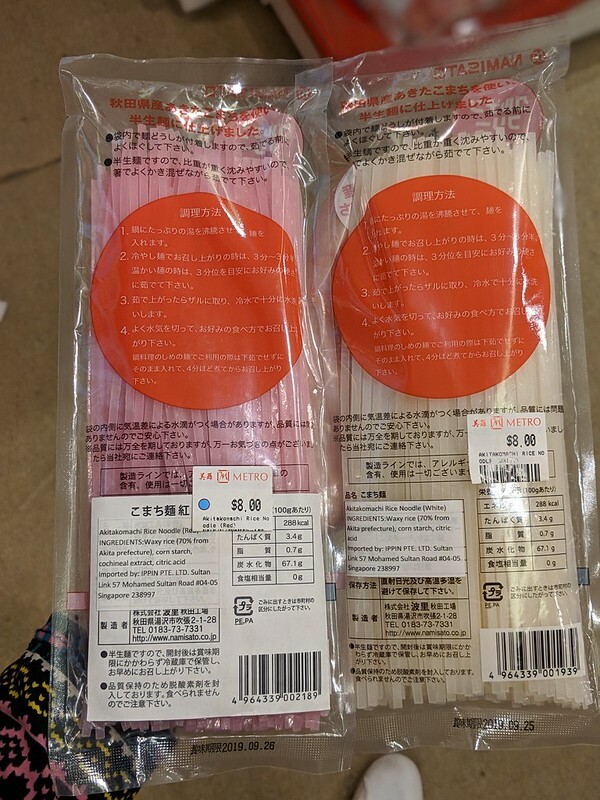 Get this Namisato Akita Komachi Rice Noodles from Tochigi Prefecture at Metro Paragon (lvl 2) & Metro Centrepoint (lvl 4) IPPIN section, selling at $8 each.